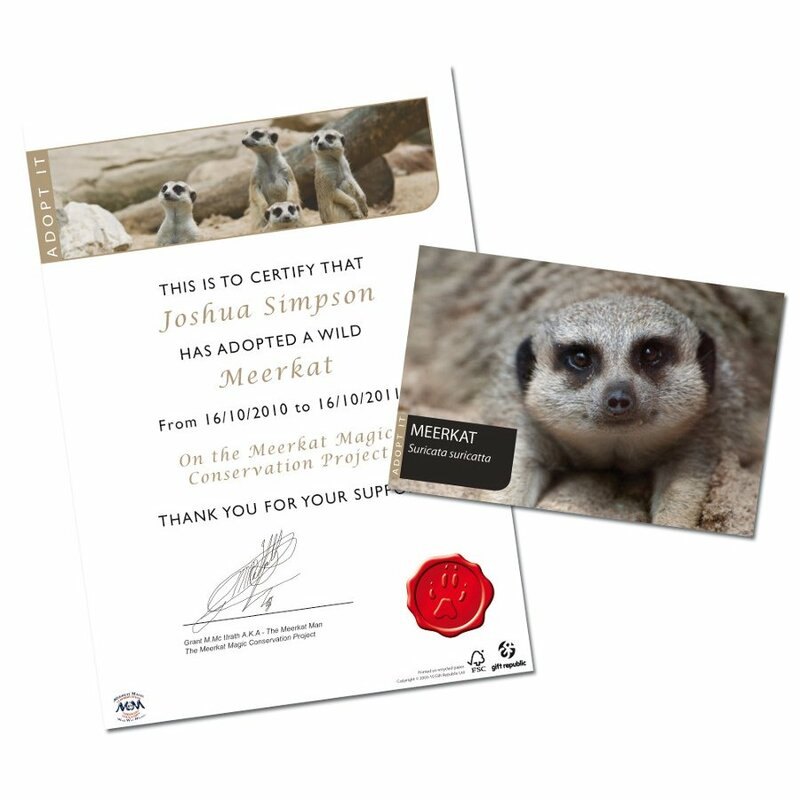 Adopt your very own meerkat with this gift set, perfect for safari buffs. 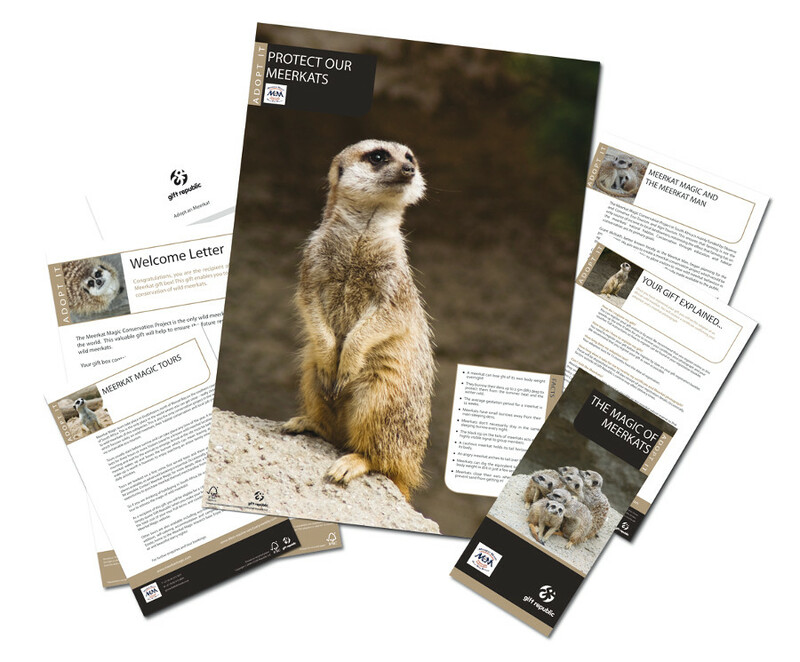 The set allows you to adopt a wild meerkat in South Africa for 12 months, supporting Meerkat Magic, a wild meerkat conservation project. 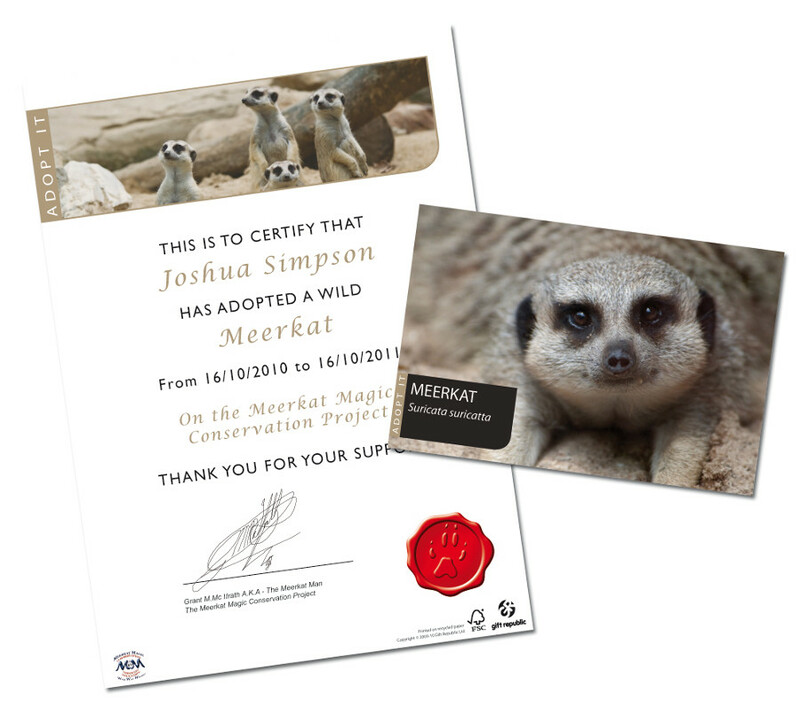 The gift tin includes easy-to-follow instructions to register your gift online or by post, then you will receive your personalised supporter certificate along with a colour photograph – and you can get money off a Meerkat Magic tour! Adoption lasts 12 months from the date of registration. 10% of proceeds will be donated directly to Meerkat Magic. You will also receive newsletters from Meerkat Magic. 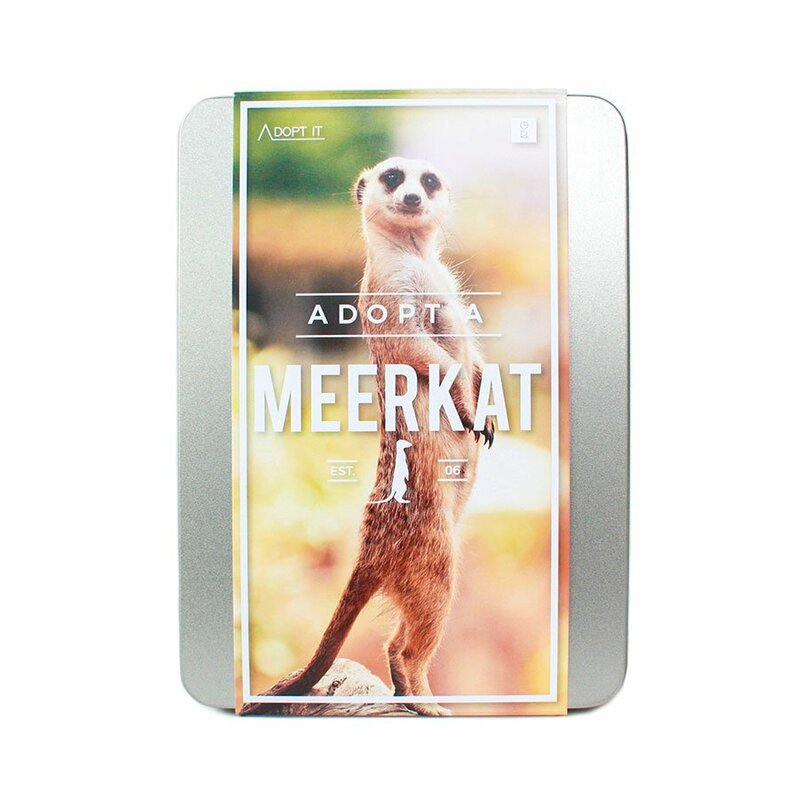 The Adopt a Meerkat Gift Pack product ethics are indicated below. To learn more about these product ethics and to see related products, follow the links below. 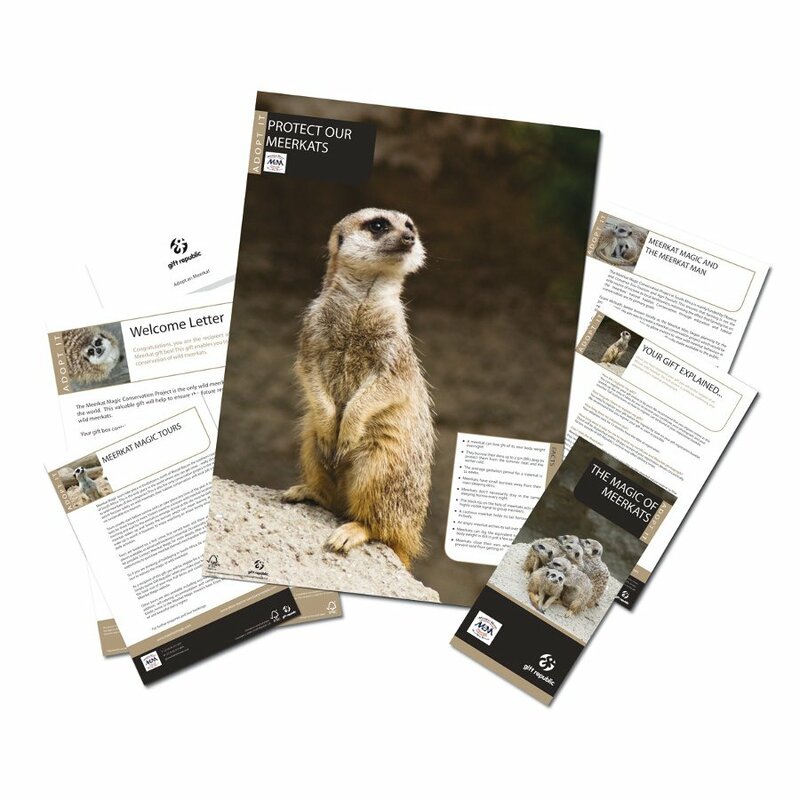 There are currently no questions to display about Adopt a Meerkat Gift Pack.